The first fracture — a wrist — came shortly after Elsa Jensen's first birthday. It's probably easier to list the bones she hasn't broken in the 13 years since, according to her mother, Paige Warrington. "She's fractured hips, femurs, forearms, wrists, ankles … everything, pretty much," Paige says. It wasn't because Elsa was careless or unlucky, however. As Rochester's KTTC-TV reports, Elsa was diagnosed with osteogenesis imperfecta when she was 2 years old. "We call it the brittle bone disease," she tells KTTC. "I can simply fall and just break any bone." Osteogenesis imperfecta isn't the only medical misfortune Elsa has had to deal with. She was diagnosed with Type I diabetes and celiac disease when she was just 2 years old. Then, five years ago, she developed a chronic bone infection that stunted the growth of her right leg. 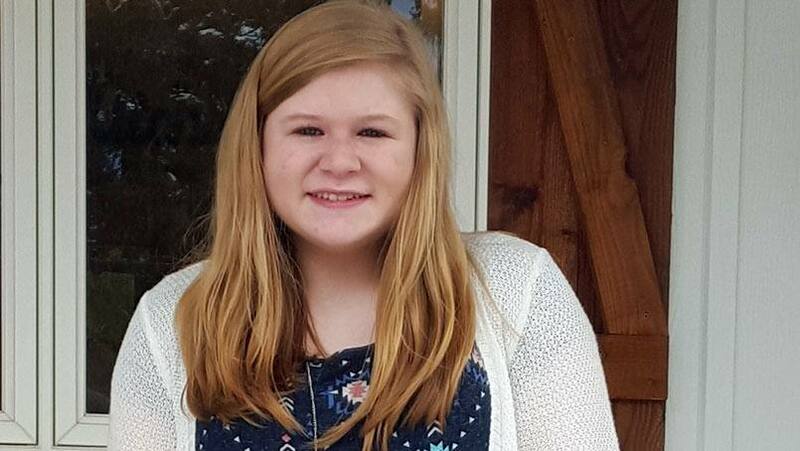 "Before we knew it, she had almost a three-inch length difference in her legs," Paige tells us. Initially, Elsa compensated by using crutches and wearing shoe lifts "as much as a girl could." That was before Paige made a discovery that would give her, and Elsa, new hope. 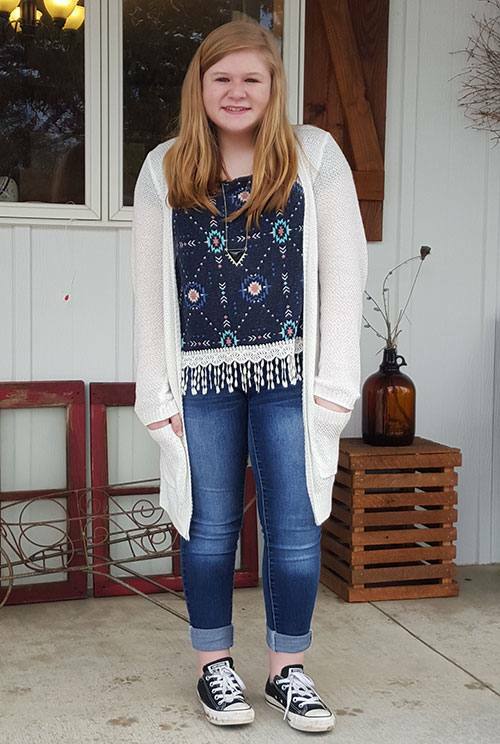 "I was online one day trying to research what we could do to make her legs even, and I ran across internal leg lengthening," Paige says. "But I read that only about 100 orthopedic surgeons in the United States are trained for that kind of procedure." Fortunately for the St. Ansgar, Iowa, family, a few of those 100 are at Mayo Clinic's Rochester campus — roughly an hour's drive away. But Paige admits the decision to come to Rochester wasn't immediate, or easy. "The lengthening procedure was new to us and very scary, so we spent a lot of time thinking about it and deciding whether we wanted to take the risk," she says. The primary risk, Paige tells us, was that it might not work, due to Elsa's chronic bone infection and diabetes. "But we were willing to take that chance because the difference in length was really wearing on her," Paige says. At Mayo, a team that included Stephen (Andy) Sems, M.D., a consultant in Mayo's Limb Lengthening and Regeneration Clinic, began the process of lengthening Elsa's leg by removing an existing rod and inserting a new magnetic one that, over time, would "telescope" and lengthen her leg, with the help of a magnet. "Four times a day, she'd have to hold that big magnet to a spot marked on her leg for two minutes at a time," Paige says. "The magnet would very slowly pull two pieces of bone in her leg apart so that new bone could form and lengthen her leg." Four months later, Paige says the results are better than she ever expected. "Elsa's walking around like you wouldn't believe," she says. "Her legs are completely even now, and it's been truly astonishing that the procedure worked as well as it has." You can read more of Elsa's story here. Then share your comments on the In the Loop blog, where you'll find tools to share this story with others.